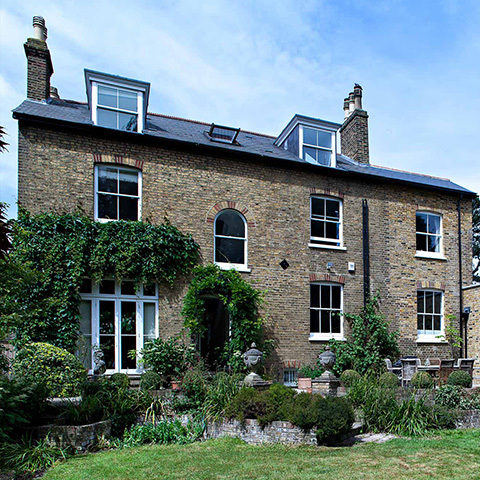 Our brief: to restore this multiple-dwelling substantial period property to a beautifully appointed and luxurious spacious family home. 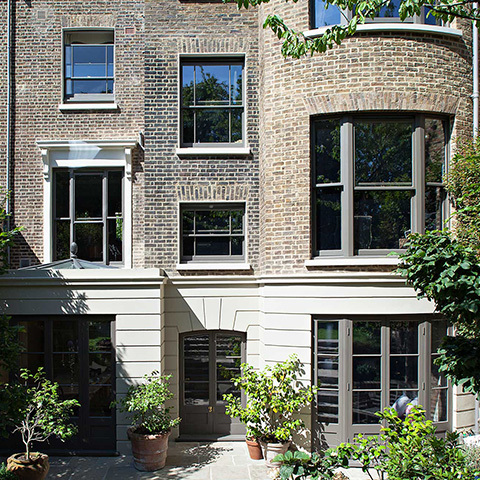 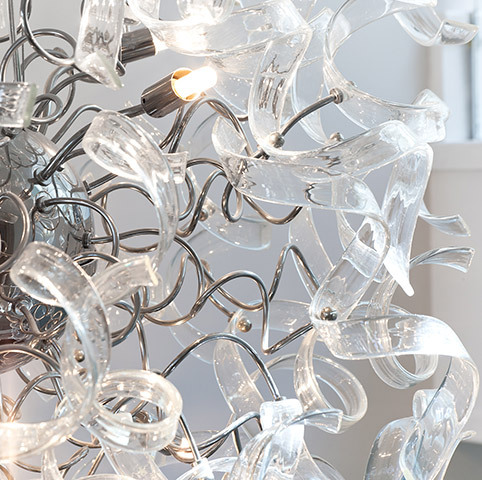 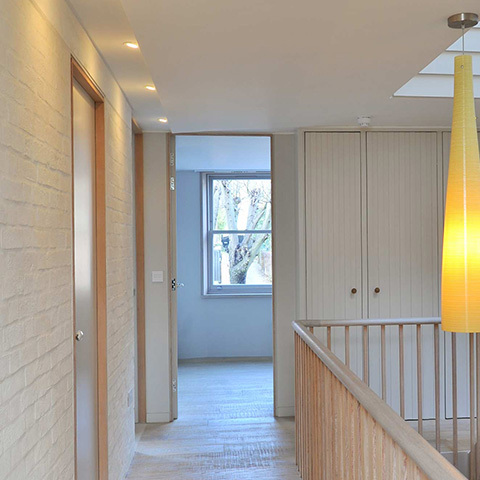 This impressive Victorian period property had been converted into multiple flats in the 1970s. 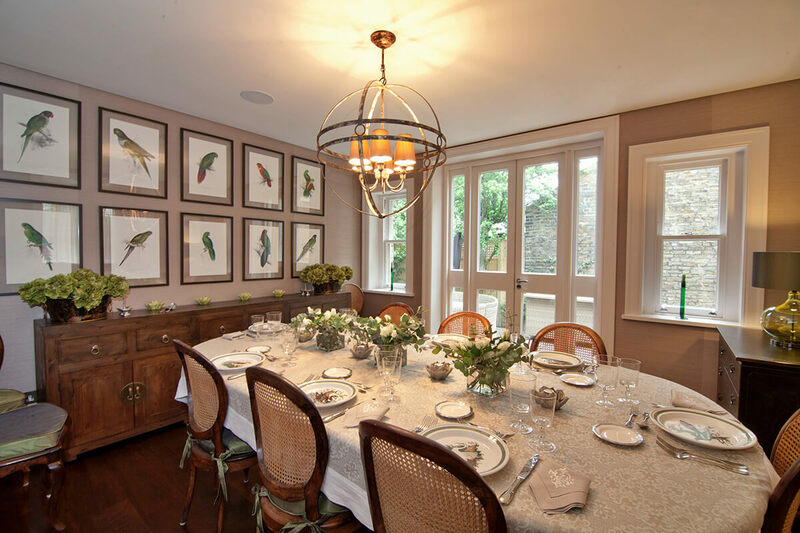 A careful and extensive programme of refurbishment would be required to renovate both the interior and exterior accommodation into an elegant character filled, single family property. 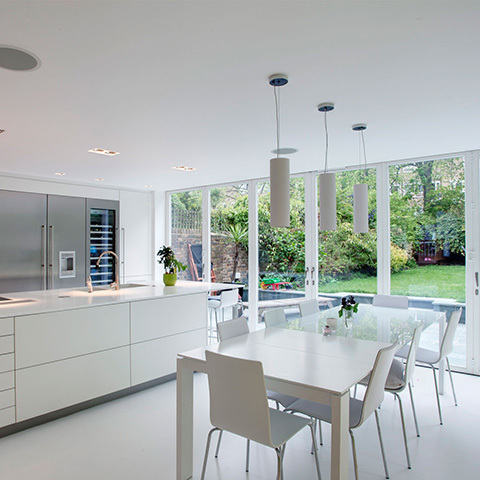 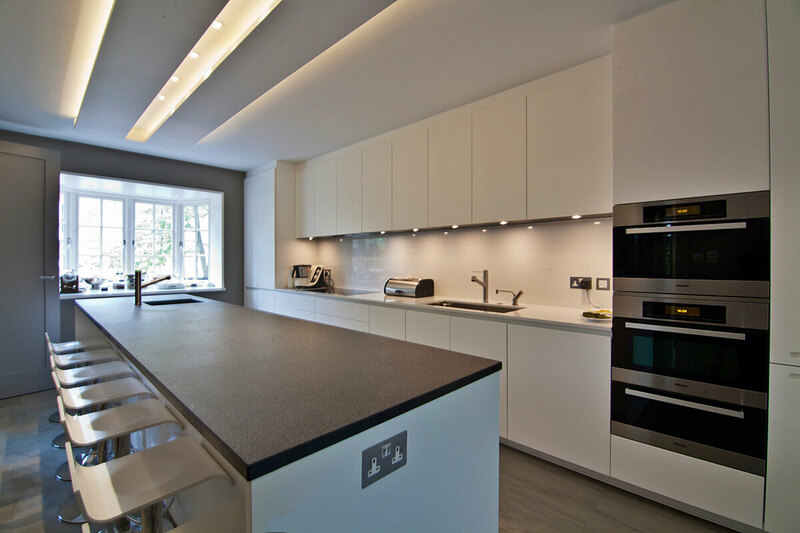 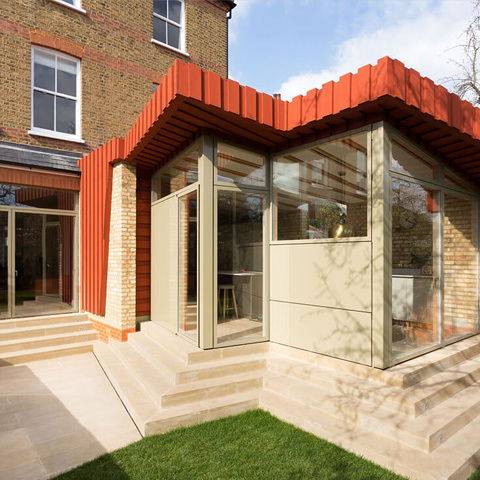 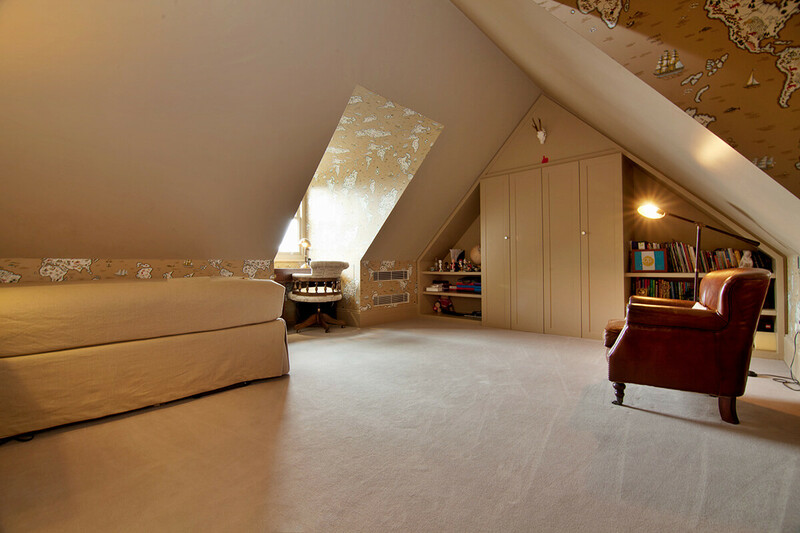 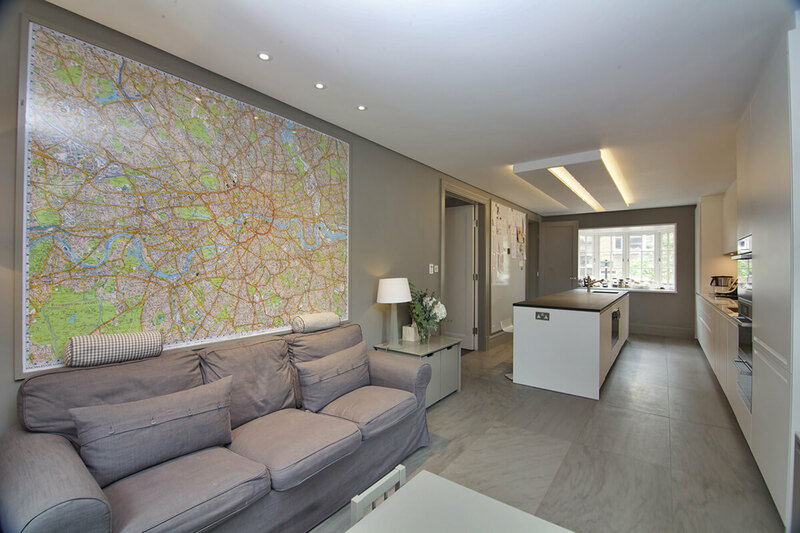 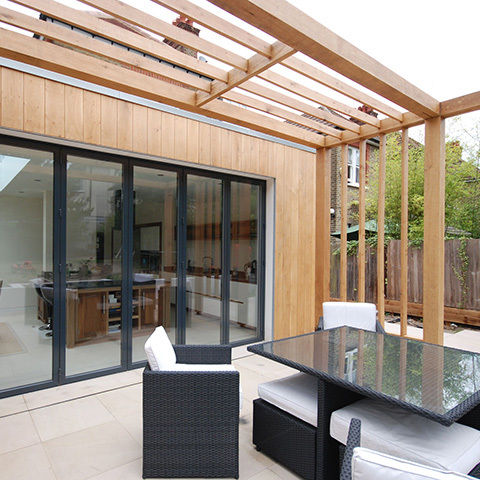 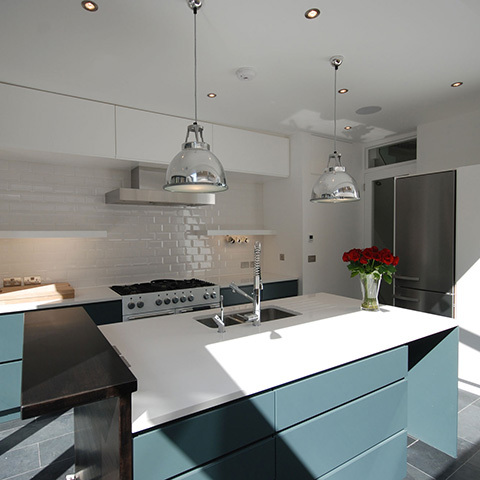 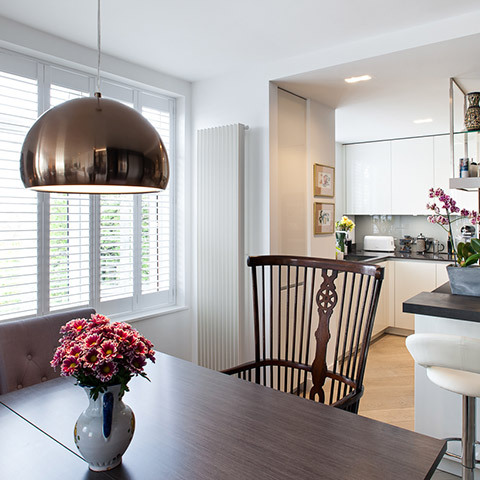 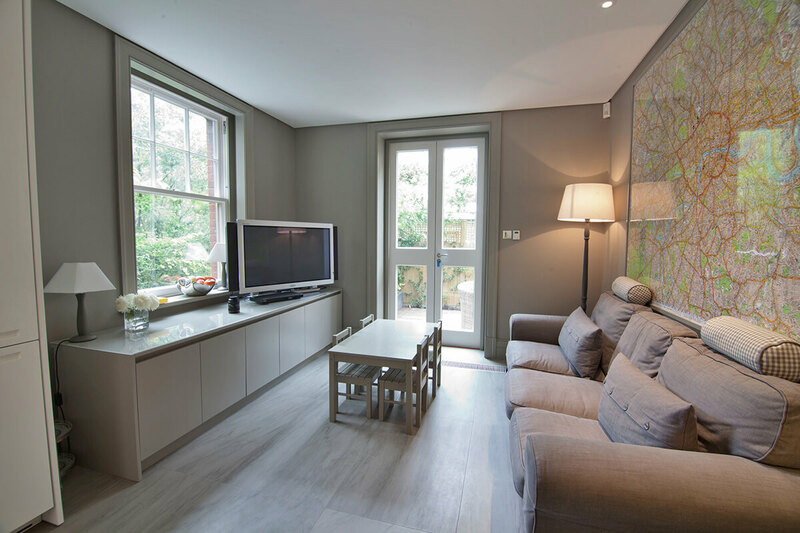 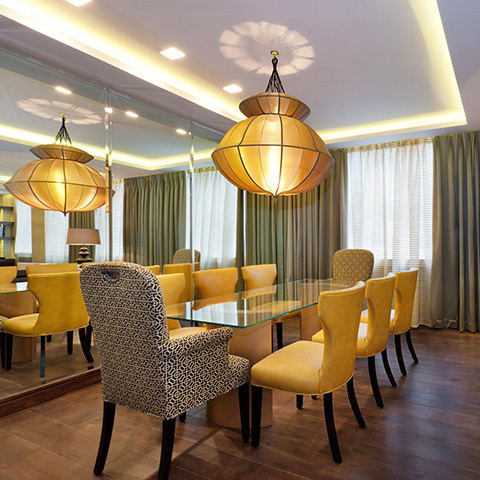 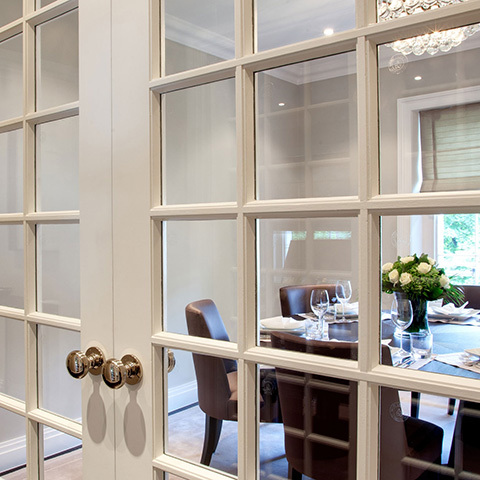 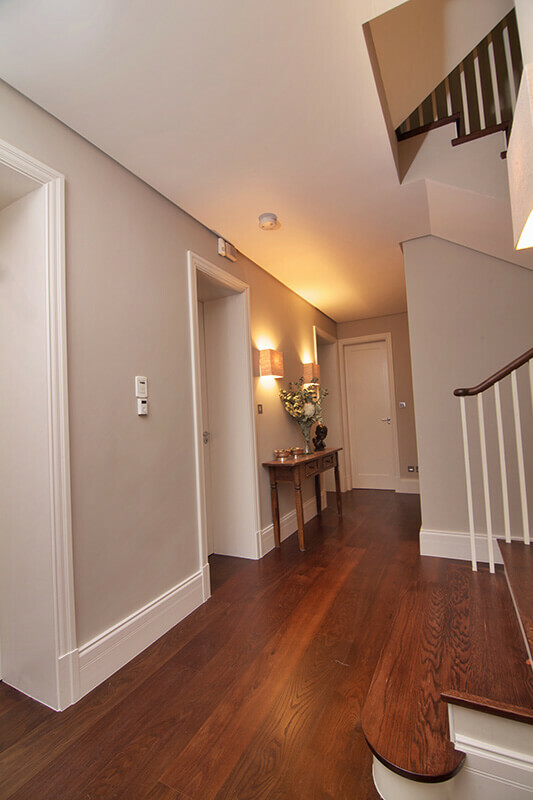 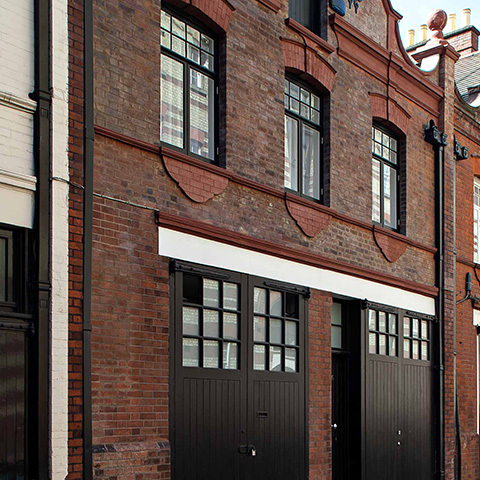 Renovation works were comprehensive and included a new basement fit-out and extensive internal re-modeling. 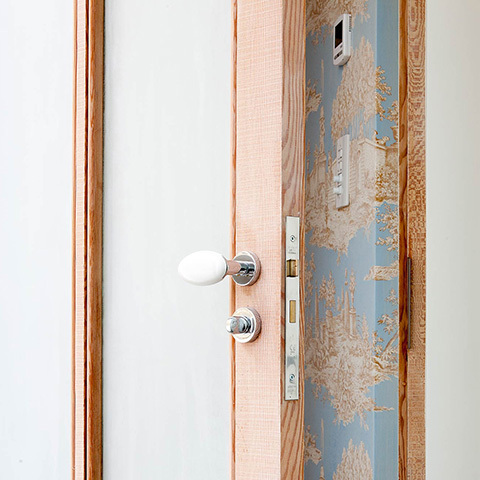 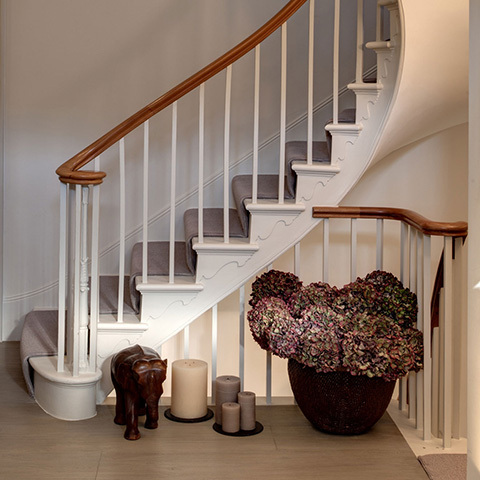 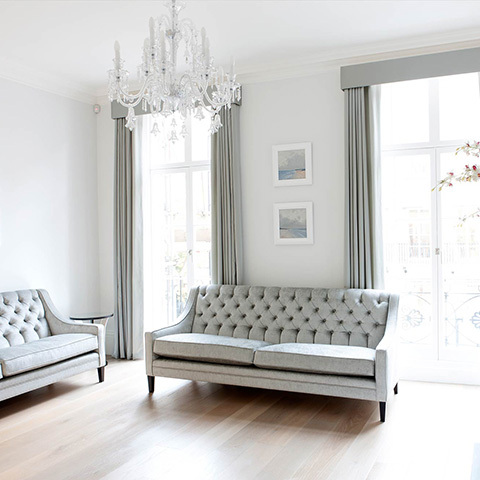 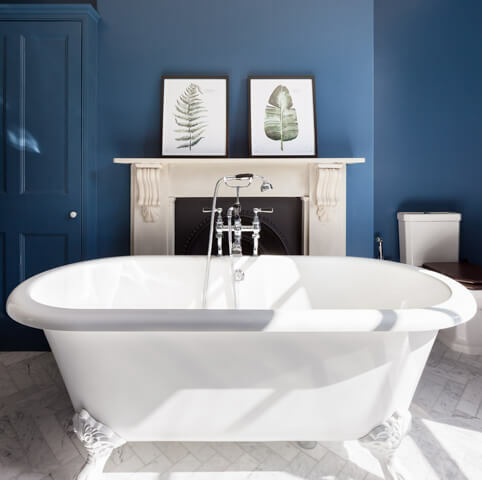 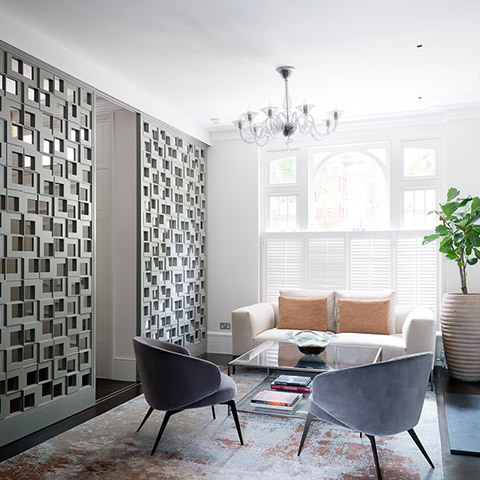 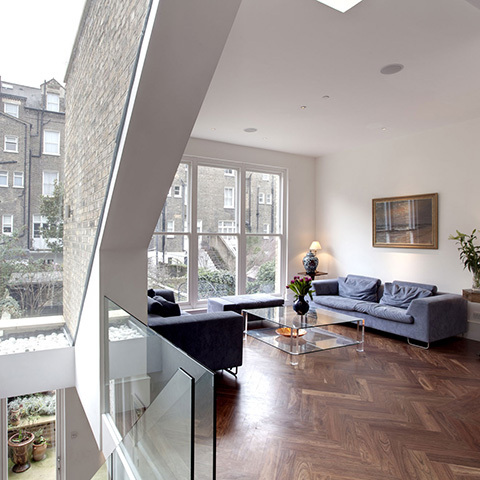 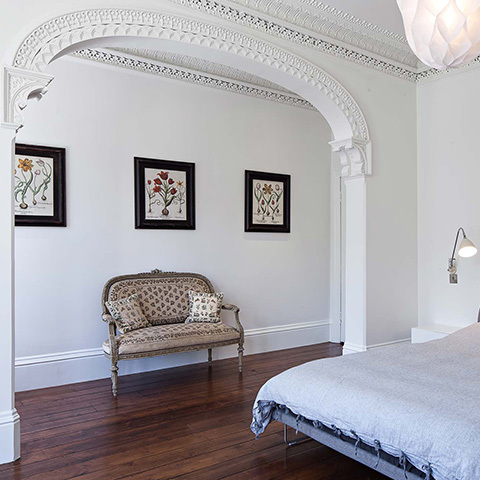 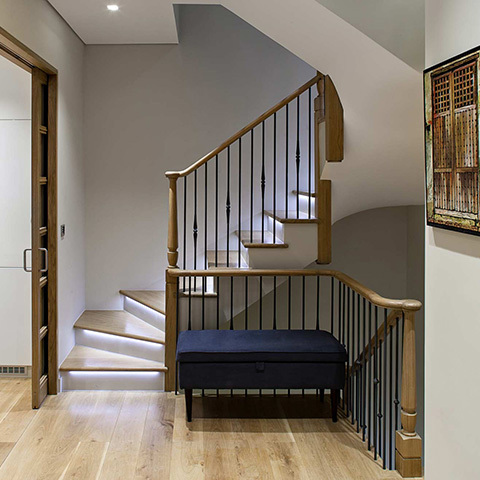 The interior renovations included new wooden staircases, doors, period dormer and external hardwood sash windows, all of which were designed and crafted to complement the character of this period property. 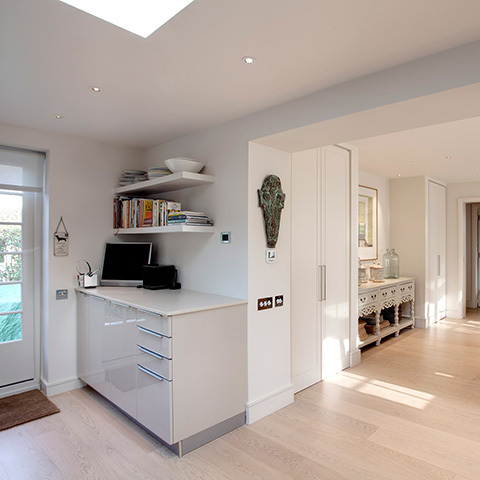 A new garage was constructed which included underfloor heating. 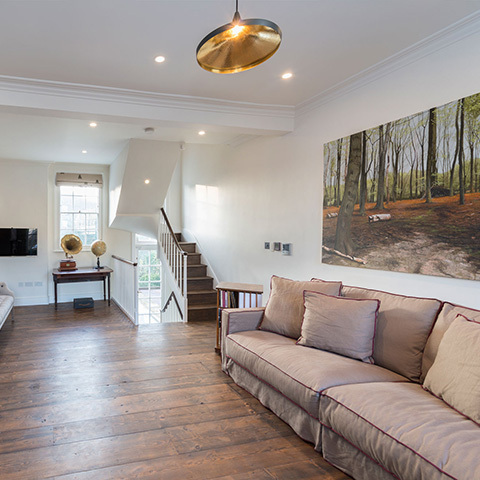 Now complete, this elegant family home comprises 2 very large reception rooms, 6 bedrooms, en-suite bath /shower rooms, playroom, a games-room and two self contained, fully equipped staff quarters within the basement. 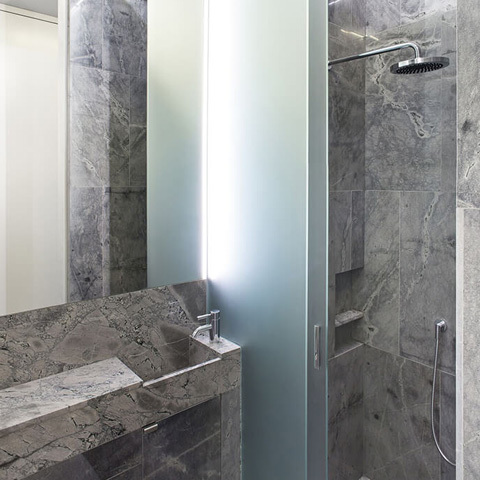 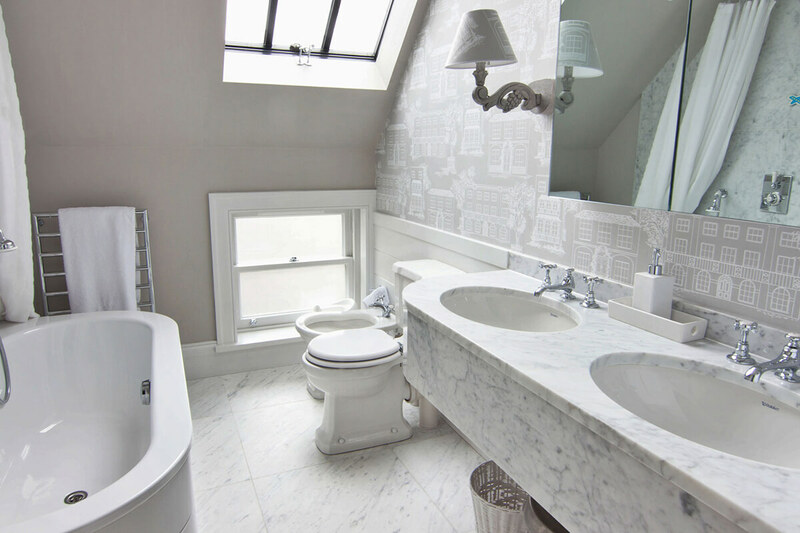 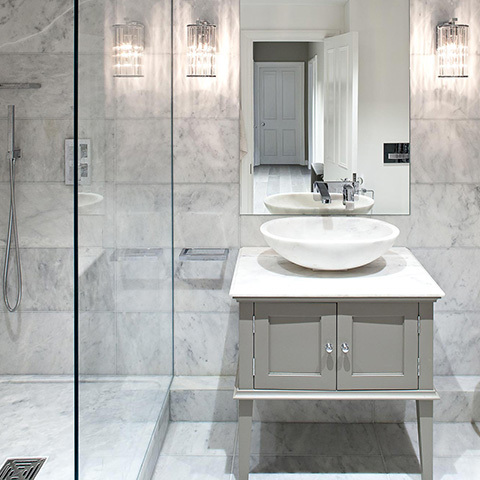 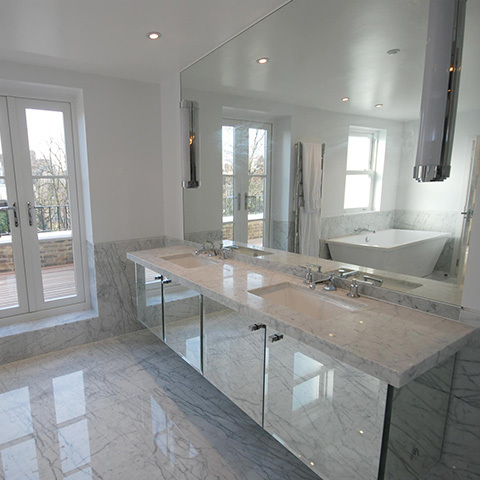 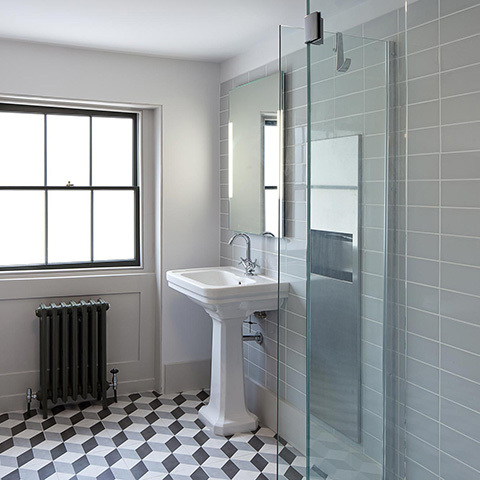 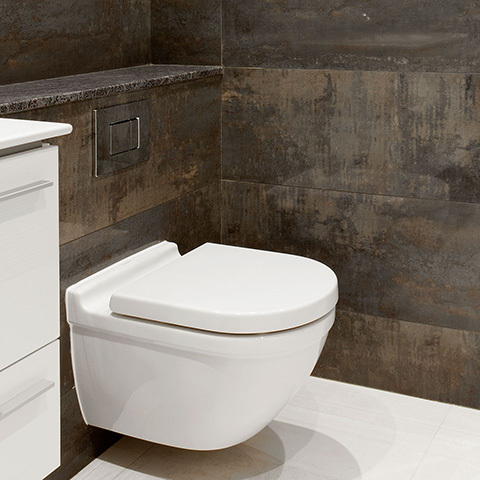 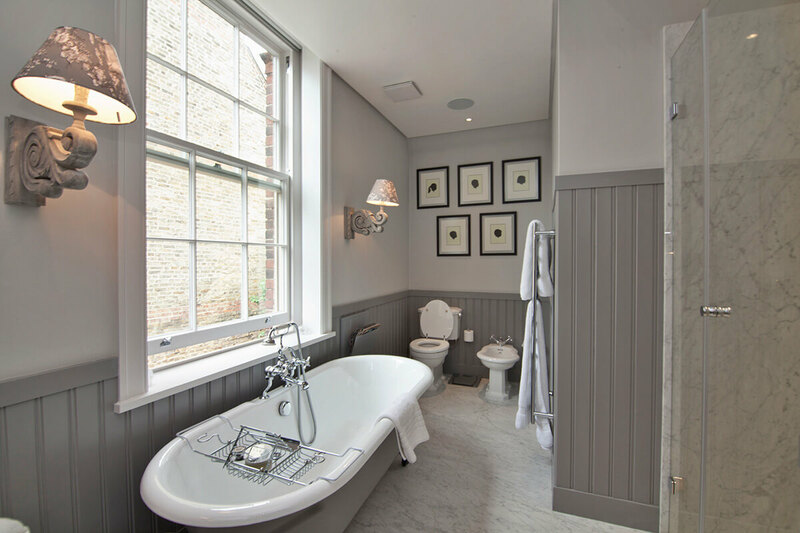 The highest specifications and finishing was used throughout the renovation process; fine Carrara and Acero marble and Travertine Limestone was fitted in the bathrooms and en-suites. 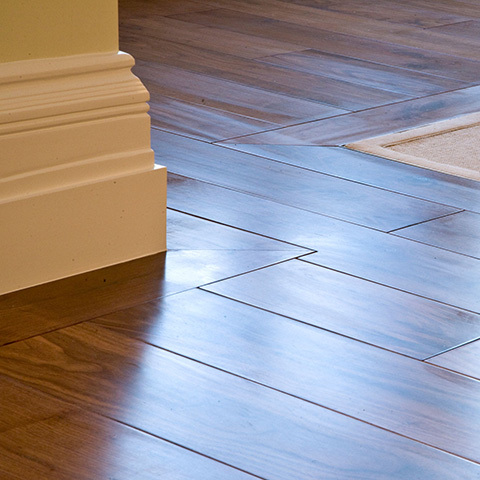 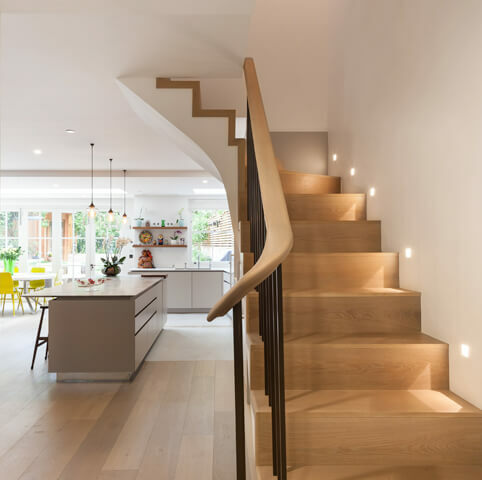 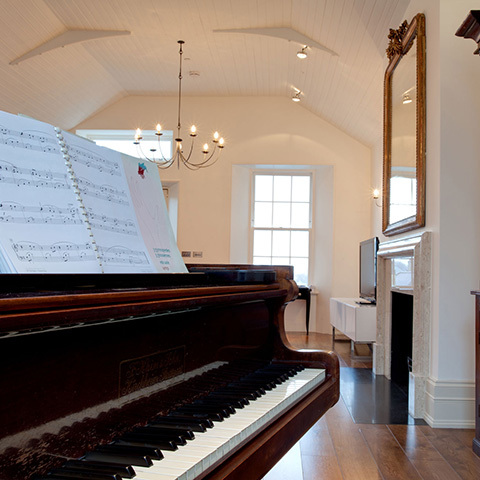 The recycled baked oak floor created a rich warm interior (from environmentally sustainable sources), and was enhanced by bespoke joinery specifically designed and fitted to the client’s requirements. 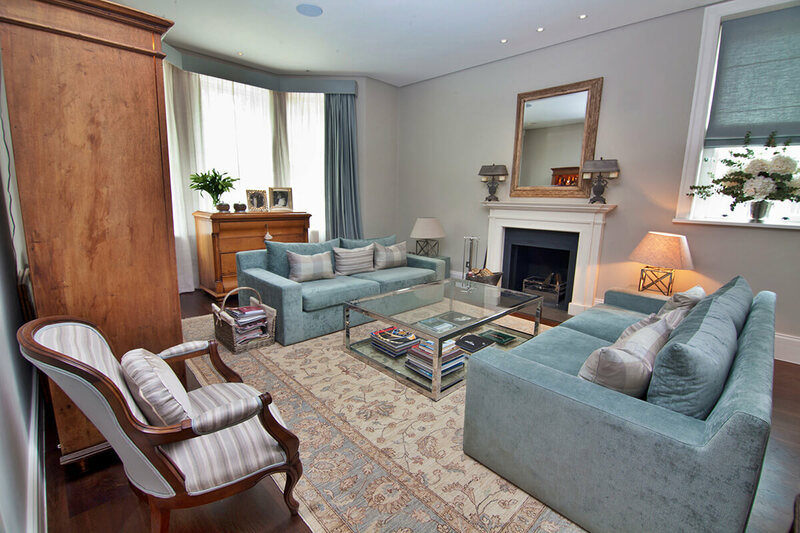 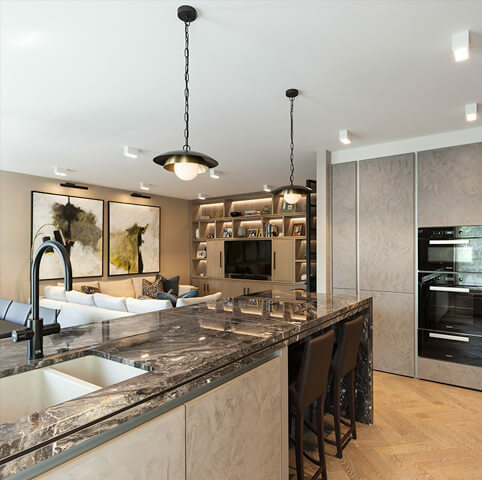 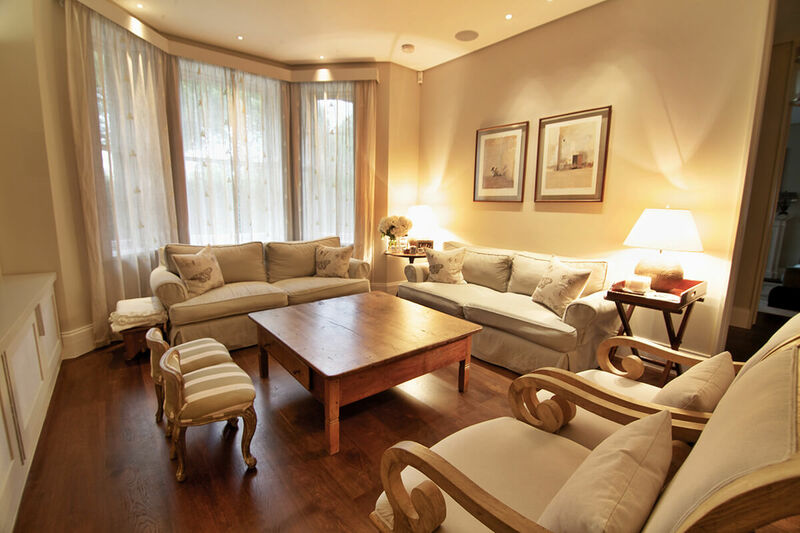 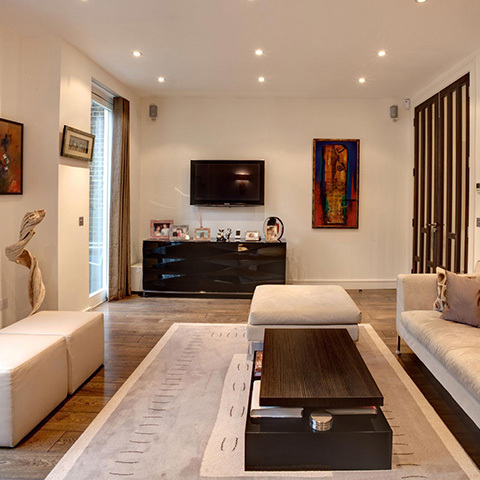 This elegant family home now benefits from a multi-media room with state of the art technology, a fully integrated centralised lighting system, air conditioning, a sophisticated security system and underfloor heating throughout. 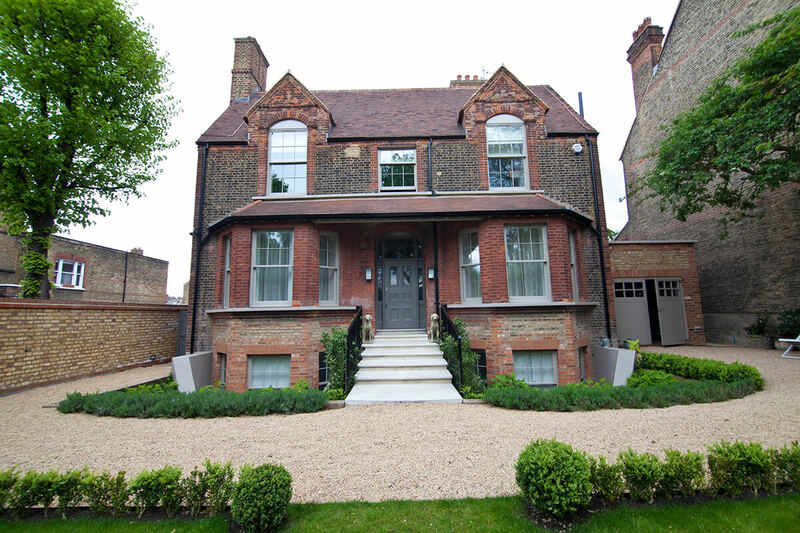 Finally the gardens and grounds were re-landscaped with new sweeping driveway, tall double entrance gates and extensive perimeter brick and wooden walling.